Pablo A. Ruiz and Jay Caspary, “SPP Transmission Topology Optimization Pilot – Efficient Congestion Management and Overload Mitigation Through System Reconfigurations,” March 2019. Letter to FERC from the WATT Coalition, AWEA, ACORE, and Americans for a Clean Energy Grid regarding incentives for advanced transmission technologies, November 26, 2018. S. Murphy, N. Dumitriu, N. Pinney, J. Marmillo. B. Mehraban, “Simulating the Economic Impact of a Dynamic Line Rating Project in a Regional Transmission Operator (RTO) Environment,” CIGRE US National Committee 2018 Grid of the Future Symposium. B. Mehraban, D. Bowman, N. Pinney, J. Marmillo., “An Analysis on the Economic Impacts of Dynamic Line Ratings on a Congested Transmission Line in Southwest Power Pool,” CIGRE US National Committee 2018 Grid of the Future Symposium. Soheila Karimia, Petr Musilek, Andrew M. Knight, “Dynamic Thermal Rating of Transmission Lines: A Review,” Renewable and Sustainable Energy Reviews, 2018. Pablo A. Ruiz, Doug Bowman, Kathryn Dial, Xiao Li, Ryan Schoppe, Zachary Sharp, Jason Terhune, Bruce Tsuchida, “Transmission Topology Optimization: Applications to Enhance System Reliability and Resilience and to Increase Market and Planning Efficiency,” June 2018. “Bringing the Grid to Life,” White Paper by Rob Gramlich, March 2018.  WATT Coalition Comments to PJM on Resilience, February 9, 2018. Marmillo, N. Pinney, B. Mehraban, S. Murphy, “A Non-Contact Sensing Approach for the Measurement of Overhead Conductor Parameters and Dynamic Line Ratings,” CIGRE US National Committee 2017 Grid of the Future Symposium. Doug Bowman and Jack McCall, “Reducing Contingency-based Windfarm Curtailments through use of Transmission Capacity Forecasting,” CIGRE US National Committee 2017 Grid of the Future Symposium. Doug Bowman and Jack McCall, “Reducing Contingency-based Windfarm Curtailments through use of Transmission Capacity Forecasting,” presentation at CIGRE US National Committee 2017 Grid of the Future Symposium, Cleveland, Ohio, October 23-25, 2017. Rob Gramlich, “Using More of the Grid We’ve Got,” North American Wind Power, September, 2017, Volume 14, Issue 8, page 20. Bhattarai, Bishnu P.; Gentle, Jake P.; Hill, Porter; McJunkin, Tim; Myers, Kurt S.; Abbound, Alex;Renwick, Rodger; Hengst, David, Transmission Line Ampacity Improvements of AltaLink Wind Plant Overhead Tie-Lines Using Weather-Based Dynamic Line Rating, July 1, 2017. Bourgeois, Raphael and Lambin, Jean-Jacques, “Dynamic Ratings Increase Efficiency,” T&D World, 4/4/2017. Verga, N. Pinney, and J. Marmillo, “Incorporating Dynamic Line Ratings to Alleviate Transmission Congestion, Increase Wind Resource Utilization, and Improve Power Market Efficiency,” CIGRE US National Committee 2016 Grid of the Future Symposium. J.C. McCall, T. Goodwin, “Dynamic Line Rating as a Means to Enhance Transmission Grid Resilience,” CIGRE US National Committee 2015 Grid of the Future Symposium. US Department of Energy, Dynamic Line Rating Systems for Transmission Lines, https://www.smartgrid.gov/files/SGDP_Transmission_DLR_Topical_Report_04-25-14_FINAL.pdf, April 2014. Jake Gentle, Warren Parsons, Michael West, Catherine Meibner, Philip Anderson, “Increasing Transmission Capacities By Dynamic Line Rating Based on CFD”. Jake Gentle, “Weather-based Dynamic Line Rating (DLR) with Computational Fluid Dynamics (CFD) + Forecasting“.